Mechanical engineer by profession. Very experienced in all areas of intellectual property law as former head of a patent department in a company in the energy sector. Additional qualification as a commercial mediator (DAA). 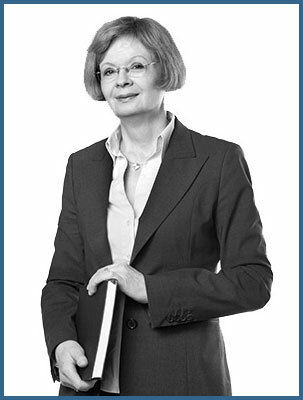 Mechthild Harlacher is familiar with all aspects of patent law and employee inventions law. She also has extensive knowledge of German and European trademark law. As a commercial mediator (DAA) she is able to carry out mediation processes with a view to the specific needs of intellectual property rights and the Employee Invention Act in order to avoid litigation.